We want you and your family to be happy and safe around your pool. With safety concerns out of the way you and your family can focus on the fun to be had and the memories to be made! We know that with a few standard precautions your pool and family can be safe, secure and ready for swimming. For young and old, basic pool rules should always be established. ‘No running on the pool deck’ is a classic for a reason. The deck can become slippery and it can become far too easy to slip and fall – either into the water or onto the hard deck. Neither is a good option. Make sure your family and friends understand the depths of the pool and which areas (if any) are acceptable to drive or jump in to. By laying down the rules from the start soon they will become second nature. You may even want to consider putting up some signs. Signs are a great way to remind swimmers to be smart and safe. The installation of a fence around your pool is a wise, and often legally required, precaution. Not only is it safer for your family, but it will also prevent debris and animals from getting trapped in your pool. Ideally, the fence should be climb-resistant, at least 1.2 metres tall and include a gate that is both self-closing and self-latching. Make sure to check with your town or city for any specific regulations. If you have any questions or need to replace or install a pool fence contact us today, we’d love to help. In all likelihood, the easiest way to ensure safety around the water is to learn how to swim. Look into enrolling your children or even yourself in swimming lessons to learn the basics. Unexpectedly falling into the water becomes less of a problem if you know what to do when you’re in there. 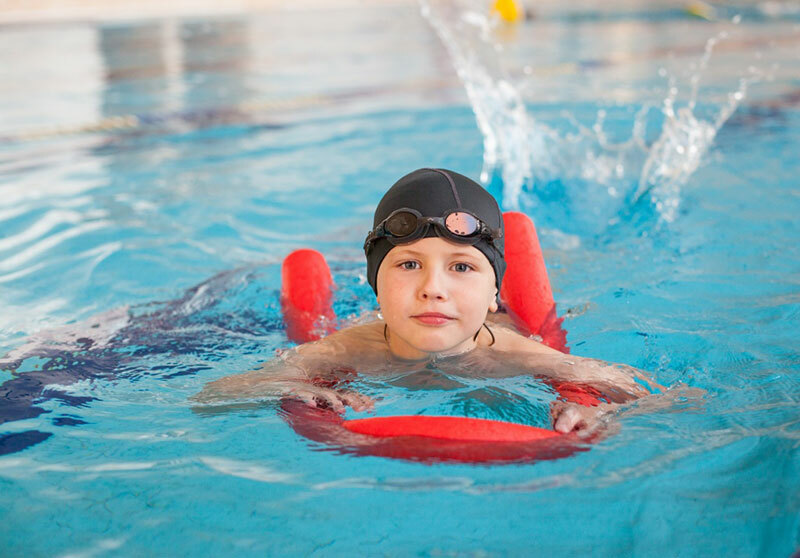 We offer everything from goggles, to flippers to water wings – anything you need to help make the learning process easier. Equipped with knowledge and assistance from our experts your pool will be safe and ready for all the summer fun! No Comments at this time!